The Rockford Ski Broncs kick off their 50th season on May 26, at Shorewood Park, in Loves Park, Ill.
April 1-2, Sat. 10 a.m.-6 p.m., Sun. to 5 p.m. More than 100 companies offer an array of products and services all in one place. 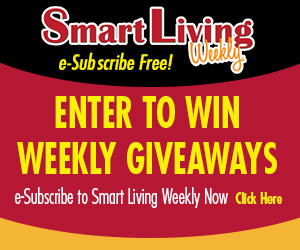 See the latest trends in landscaping, decks, backyard ponds and waterfalls, and discover neat gadgets for the garden enthusiast. Forest Hills Lodge, 1601 West Lane Road, Loves Park, Ill., (815) 871-7469, showtimeproduction.net. April 2, 11 a.m.-2 p.m. Enjoy a pork chop sandwich with multiple sides at the 10th Annual Stephenson County 4-H and Extension Foundation Fundraiser. Eagles Club, 1200 W. Galena Ave., Freeport, (815) 235-4125, extension.illinois.edu. April 7, 5 p.m. Each month downtown art galleries, shops and music and theater venues work together to stay open late and provide new art, music and goods. Downtown Rockford, (779) 537-5319, facebook.com/FirstFridaysRockford. April 8, 6 p.m. Dust off your flapper dress, zoot suits and Tommy guns and get ready for a Roaring Twenties Murder Mystery Party. Tinker Swiss Cottage Museum and Gardens, 411 Kent St., Rockford, (815) 964-2424, tinkercottage.com. April 8-9, Sat. 10 a.m.-5 p.m., Sun. to 4 p.m. See more than 225 re-enactors portraying soldiers and civilians from WWI. Enter encampments, tour a reproduction 150-yard trench system and watch large-scale battle re-enactments. Midway Village Museum, 6799 Guilford Road, Rockford, (815) 397-9112, midwayvillage.com. April 15, noon-3 p.m. Hop into your favorite museum and fill your basket with yummy treats as Discovery Center joins Burpee Museum for this annual egg-stravaganza. Kids and grownups can create super springtime art and create clever crafts. Kids 9 and under can look for eggs at 11 a.m. and 1 p.m. Come early to enjoy both museums. Discovery Center Museum, 711 N. Main St., Rockford, discoverycentermuseum.org. April 18, doors 11 a.m. This fundraising luncheon features a special presentation by Belvidere native Jeanne Gang, an internationally acclaimed architect and MacArthur Fellow whose award-winning projects include Chicago skyscraper Aqua and RVC’s Starlight Theatre. Ticket proceeds benefit Rockford Art Museum educational programming. Giovanni’s Restaurant & Conference Center, Rockford, (815) 968-2787, rockfordartmuseum.org. April 21, 7-11:30 p.m. Join a public investigation led by the Ghost Head Soup team, based in Sycamore, Ill. Tinker Swiss Cottage Museum and Gardens, Rockford, (815) 871-4239, tinkercottage.com. April 22, 1-5 p.m. This ultimate music and beer tasting event features unlimited sampling of craft beer from around the U.S., lives blues music and a concession stand. Geneva National Golf Club, 1221 Geneva National Ave., Lake Geneva, (262) 245-1000, brewsandbluesfestival.com. April 26, 7 p.m. Fine Japanese food and craft beer come together in this fun journey of flavor and discovery. Chef JB Griffin and Brewer Steve Lenox guide you through this delightfully entertaining five-course dinner with beer pairings. Prairie Street Brewing Co., 200 Prairie St., Rockford, (815) 277-9427, psbrewingco.com. April 28-30. Civil War encampments are back in town. This two-day event includes Living History stations, Civil War re-enacted battles, period dance and a bazaar offering period items. Learn about blacksmiths, infantry, artillery, medicine, musicians and dance at the living history stations. Children 12 and under are free. Boy Scouts dressed in their Class A uniforms are also free. Riverbanks of Galena River, Main St., Galena, (224) 639-3436, http://tristatehistoricalpresentations.blogspot.com/p/grants-home-front-event-april.html. April 28, 6:30-9 p.m. Lace up your sneakers for the fourth running of the Arbor Dash, a 5K family fun run through nature. Stick around after to enjoy beverages and snacks from Prairie Street Brewing Company. Klehm Arboretum and Botanic Garden, 2715 S. Main St., Rockford, (815) 965-8146, Klehm.org. April 29, 9 a.m.-1 p.m. Join in this fun family event that includes archery, arts and crafts, healthy eating demos, pool safety, an obstacle course and much more. Family YMCA of Northwest Illinois, 2998 W. Pearl City Road, Freeport, (815) 235-9622, freeportymca.org. May 5, 5 p.m. Each month downtown art galleries, shops and music and theater venues work together to stay open late and provide new art, music and goods. Downtown Rockford, (779) 537-5319, facebook.com/FirstFridaysRockford. May 6-7, 10 a.m.-5 p.m. Old World Wisconsin opens for the 2017 season with a favorite spring activity: sheep shearing. Help to clean wool and try your hand at spinning it into yarn. Old World Wisconsin, W372S9727 State Road 67, Eagle, Wis., (262) 594-6301, oldworldwisconsin.wisconsinhistory.org. May 6, 3-7 p.m. Union Dairy and the Freeport Lions Club host this car show with proceeds going to the Lions Club. Entertainment by 3-D Sound. Union Dairy, 126 E. Douglas St., Freeport, (815) 232-7099. May 7, Sun. 3:30-4:30 p.m. Join yoga instructor Nicole Messink for a fun, social yoga and beer event for all skill levels. Prairie Street Brewing Co., 200 Prairie St., Rockford, (815) 277-9427, psbrewingco.ticketleap.com. May 13, 6 a.m. 50 Mile start, 8:15 a.m. 50K start, 9 a.m. half marathon start. The Ice Age Trail 50 is run exclusively on recreation trails, ranging from flat and soft grassy double-track to twisting and technical single-track – and there are enough hills to keep everyone entertained. Well-marked with plenty of aid stations, this is ideal for first-timers and challenging for seasoned ultrarunners. Nordic Trailhead, N9084 County Road H, Whitewater, Wis., (262) 495-3131, iceagetrail50.com. May 13, 10 a.m.-1:30 p.m. This free, family-friendly arts festival features local artists, performers and community organizations. Enjoy interactive activities for all ages, plus demonstrations and raffle prizes. Janesville Performing Arts Center, 408 S. Main St., Janesville, (608) 758-0297, janesvillepac.org. May 13, 7-11:00 p.m. Haunted Rockford partners with renowned Ghost Investigator Dale Kaczmrek and his Ghost Research Society to investigate the paranormal. Tinker Swiss Cottage Museum and Gardens, Rockford, (815) 871-4239, tinkercottage.com. May 13-Oct. 28, Sat. 9 a.m.-1 p.m. Eat, shop and socialize at a market full of fresh local products and food. North End City Market, Intersection of North Main and Auburn Streets, Rockford, (815) 977-5124, rockfordcitymarket.com. May 19-Sept. 1, Fri. 3:30-8:30 p.m. Rockford City Market is an open-air public market featuring locally grown and made items including vegetables, fruit, meat, cheese, flowers, herbs, baked goods, artisans, prepared food, local beer and wine. Water Street at East State Street, Rockford, (815) 988-2825, rockfordcitymarket.com. May 20, 9 a.m.-4 p.m. Main Street Market is an open-air market hosted by Urban Farmgirl. Shop more than 100 vendors from across the Midwest, including handmade artisans and purveyors of vintage goods, while enjoying amazing food and local music. Midway Village Museum, Rockford, (815) 985-9918, urbanfarmgirl.com. May 20, 10 a.m.-5 p.m. Watch historians from Old World Wisconsin and the Museum of Beer and Brewing bring historic brewing techniques back to life. Old World Wisconsin, Eagle, Wis., (262) 594-6301, oldworldwisconsin.wisconsinhistory.org. May 20-21, 10 a.m.-6 p.m. Watch and interact with many performers and shop at the exotic vendors during this exciting two-day event, a true Old World experience. Traxler Park, 600 N. Main St., Janesville, (608) 289-0699, jvlrenfaire.com. May 20, 1-5 p.m. Taste different wines at your favorite downtown businesses. Start your Rock River Wine Walk at The Venue to get your wristband, commemorative glass and location map. The Venue, 36 S. Main St., Janesville, (608) 757-3171, downtownjanesville.com. May 20-21, Sat. 7 a.m.-9 p.m., Sun. 11 a.m.-3 p.m. Wander the park and Milton House grounds, and interact with President Lincoln, Civil War-era soldiers and civilians camped out for the weekend. The encamped company provides canon fire demonstrations. Saturday’s festivities conclude with a concert in Goodrich Park. Milton House Museum, 18 S. Janesville St., Milton, Wis., (608) 868-7772, miltonhouse.org. May 22, 6 p.m. All things rhubarb are on the menu during the signature fundraising event for Rocktown Township Historical Society. Carriage House Museum, 529 Green St., Rockton, Ill., (815) 624-8200, rocktontownshiphistoricalsociety.com. May 26. Chomp into free boiled corn while enjoying live music, food, raffles, 50/50s, activities for kids and more. VFW Post 2306, 2711 S. Afton Road, Beloit, (608) 362-0299, myvfw.org. May 26-Sept. 1, Wed. & Fri. 7 p.m. 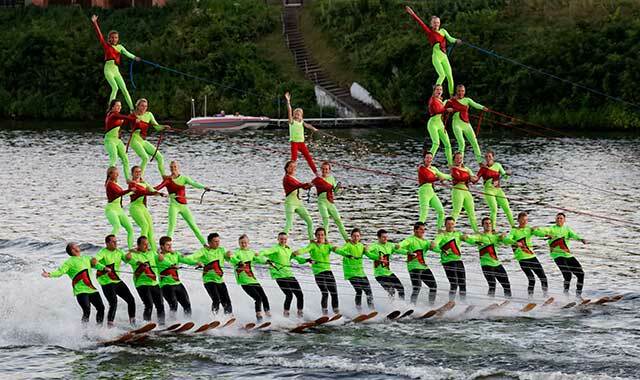 The Rockford Ski Broncs’ dazzling water ski show is in its 50th year. Powered by 2,000 horsepower, it’s like Cirque du Soleil on the Rock River. Shorewood Park, 235 Evelyn Ave., Loves Park, Ill., skibroncs.com. May 26-29, Fri. 6 p.m.-midnight, Sat. & Sun. noon-midnight, Mon. noon-6 p.m. Bring the whole family to this annual festival with live music, a beer garden, carnival rides, kids’ activities and food concessions. Loves Park City Hall Festival Grounds, 100 Heart Blvd., Loves Park, Ill., (815) 633-3999, parkschamber.com. May 27-Oct. 14, Sat. 8-11 a.m. Enjoy this seasonal farmers market featuring a large variety of fresh, locally grown produce and locally made baked goods. Lena Farmers Market, 100 W. Main St., Lena, Ill., (815) 235-4125. May 27, 4-9 p.m. See hundreds of fine automobiles, motorcycles and modern sports cars. Don Carter Lanes, 4007 E. State St., Rockford, (815) 323-0395, miraclemilerockford.com. June 2, 5 p.m. Each month downtown art galleries, shops and music and theater venues work together to stay open late and provide new art, music and goods. Downtown Rockford, (779) 537-5319, facebook.com/FirstFridaysRockford. June 2, 5 p.m. See classic cars on display. Historic Courthouse Square, 1016 16th Ave., Monroe, Wis., (608) 328-4023, mainstreetmonroe.org. June 2-11, see website for times. Welcome summer with 10 days of delicious dining. Try new restaurants or old favorites for two- and three-course menus offered at $10 for lunch and $25/$35 for dinner. Lake Geneva Area Visitor Center, 210 Wrigley Dr., Lake Geneva, (262) 248-1000, visitlakegeneva.com/restaurantweek. June 3, 9:30 a.m.-1 p.m. Enjoy fishing, boat rides, wagon rides, games, a picnic lunch, more. Proceeds support children and adults with disabilities in northern Illinois, as well as their families. Email deeniec98@outlook.com to register. Rock Cut State Park Lions Park Shelter, 7223 W. Lane Road, Loves Park, Ill., (815) 282-8606. This entry was posted on Thursday, March 30th, 2017 at 11:58 am	and is filed under Recreation & Destinations. You can follow any responses to this entry through the RSS 2.0 feed. Both comments and pings are currently closed.